Les Jensen, noted authority, writes in his report (included) on this piece: "This frock cost is made of a particular broadcloth believed, from other coats, to be a type made by Crenshaw and Company in Richmond, Virginia. This, plus the straight forward, parallel row button spacing, points to a probable Virginia theater origin." 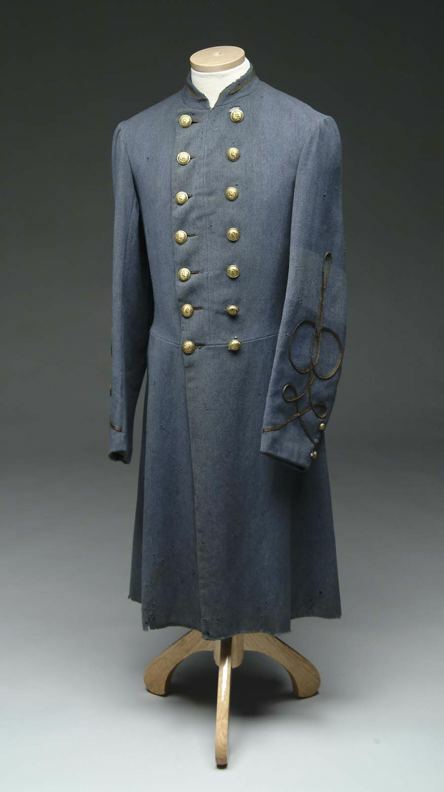 and "This frock coat is an original and very good example of a Confederate officer's frock coat." 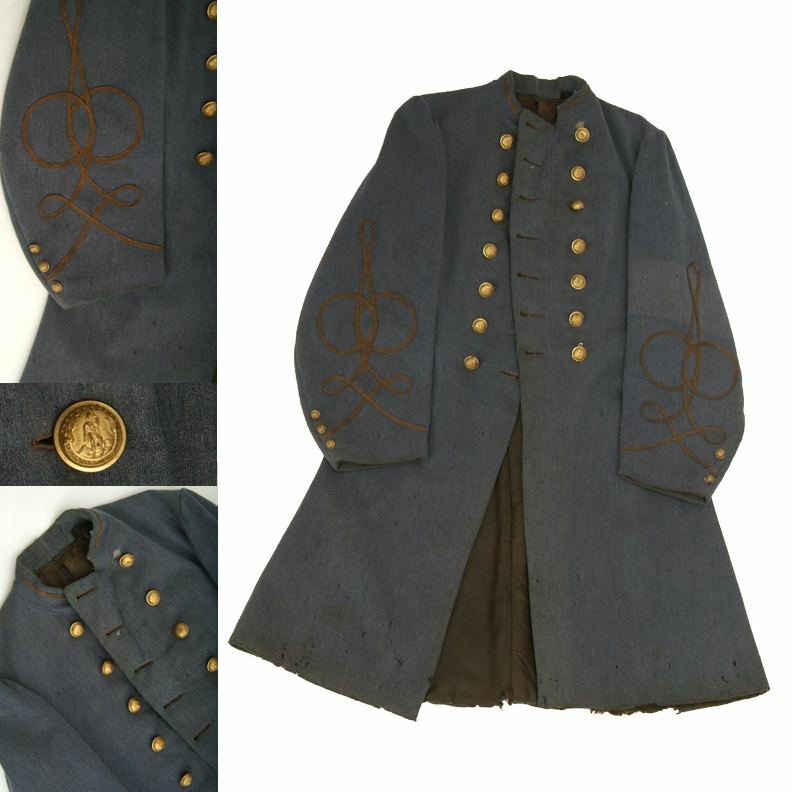 This regulation pattern second lieutenant's uniform coat still has its original matching Virginia state seal staff buttons, finely woven gilt wire sleeve trefoil and rank insignia, and Federal staff cuff buttons. The waist and tail buttons are missing. The cloth is in excellent condition with some scattered insect damage. Formerly from Sumter Military Antiques, Charleston, South Carolina, then the Michael Adamson.